A renowned physician in the field of gynecologic oncology, Dr. Thomas Caputo grew up in a family of physicians in New Jersey. His father and two brothers are doctors. He credits the mentorship of his father and medical school faculty members with motivating him to follow his heart in specializing in Ob/Gyn. His first experience as a physician, after completing medical school and his post-doctoral residency, was in the United States Army, where he became Chief of the Department of Obstetrics and Gynecology of the U.S. Army Hospital in Vicenza, Italy. Dr. Caputo is grateful for the life-changing experience of living and practicing medicine in Europe. After leaving the Army, Dr. Caputo received a fellowship to study gynecologic oncology at the Emory University School of Medicine in Atlanta, where he also served as a clinical instructor of obstetrics and gynecology. The Emory fellowship led to his appointment as the first chief of the division of Gynecologic Oncology at Albany (NY) Medical Center. Dr. Caputo left Albany Medical Center in 1982 to accept a position on the faculty at Weill Cornell Medical College and as an attending physician in the Department of Obstetrics and Gynecology at NewYork-Presbyterian Hospital/Weill Cornell Medical Center. Recognized many times as one of the “Best Doctors in New York” by New York Magazine, Dr. Caputo has also been named one of the Best Doctors in America (Naifeh & Smith, 2004), one of the Top Doctors for Women (Ladies Home Journal, 2002), and one of the Top Doctors in the New York Metropolitan Area (Castle Connolly Medical Guide Ltd., 1999-2010). He has won many awards for excellence in teaching and research. In addition to his regular duties as a full Professor of Clinical Obstetrics and Gynecology, Dr. Caputo has delivered many presentations and seminars and published dozens of peer-reviewed journal articles on gynecologic oncology. One of the most satisfying aspects of Dr. Caputo’s career has been the dramatic advances in treatment techniques and medications he has witnessed and been part of. Many conditions that were once incurable are now eminently treatable and curable. He finds this constant advance of science a great motivator to continue learning and improving his skills as a physician. Long recognized as one of the nation’s most respected teachers of gynecologic oncology, Dr. Caputo is now enjoying the satisfaction of seeing many former students become top leaders in the field. A graduate of Holy Cross College (Worcester, MA), Dr. Caputo received his M.D. from the University of Medicine and Dentistry of New Jersey (UMDNJ) and served his residency in Obstetrics and Gynecology at the UMDNJ’s H.S. Martland Hospital. His post-doctoral training included a Fellowship in Gynecologic Oncology at Atlanta’s Emory University School of Medicine. He accepted a faculty position at Weill Cornell Medical College in 1982. 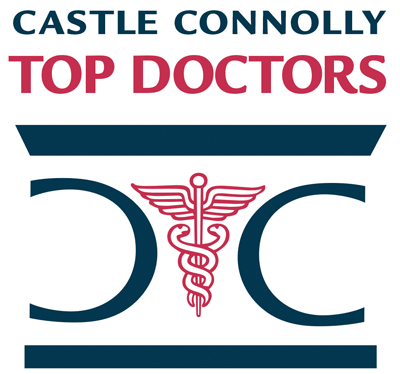 Thomas A. Caputo, MD, FACOG has been named one of America's Top Doctors by Castle Connolly. We have 384 of America's Top Doctors in 57 medical specialties.